Image of Century zinc mine, courtesy of New Century Resources. The Century zinc mine in Queensland could be churning out ore again thanks to a $52.9 million private placement raised by owner New Century Resources (ASX:NCZ). 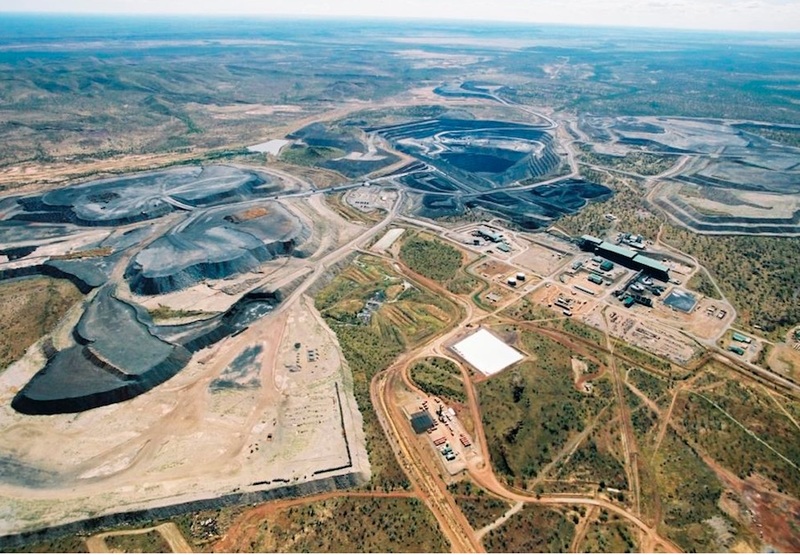 The mine was the third largest zinc mine in the world prior to its closure in 2016 and still hosts mineral resources in excess of 2.6Mt of zinc, 0.7Mt of lead and 42.5Moz of silver. New Century acquired its interest in 2017 and is currently undertaking a feasibility study into the recommissioning of the existing processing plant. The feasibility study, which will include conversion of the Century tailings deposit from measured resources to reserves, is expected to be completed this month. The mine was the third largest zinc mine in the world prior to its closure in 2016 and still hosts mineral resources in excess of 2.6Mt of zinc, 0.7Mt of lead and 42.5Moz of silver. In a news release Monday New Century described the private placement as "significantly oversubscribed with strong support from a range of major domestic and international institutional investors." About 44.1 million shares were sold. "This highly successful placement puts New Century in a very strong financial position and allows us to rapidly progress the restart of the Century Zinc Mine and deliver on our strategy to become a globally significant zinc producer in 2018," said managing director Patrick Walta. In October New Century, then a 70% owner of the open-pit mine, took over the remaining 30% through the purchase of privately-owned Century Bull. The mine is 25 kilometres northwest of Mount Isa in the Lower Gulf of Carpentaria. During its 16 years of operations, starting in 1999, Century processed an average 475,000 tonnes per annum zinc concentrate and 50,000 tpa lead concentrate. The product was transferred in slurry form via a 304-km underground pipeline to Century’s port facility at Karumba for shipping to smelters in Australia, Europe and Asia. In 2016 the mine closed due to depleted reserves. But according to New Century its remaining mineral assets include over 2.5 million tonnes of JORC-compliant zinc metal equivalent resources located within mineralized tailings, the Silver King base metal deposit and other minor deposits. The mine also hosts several substantial phosphate deposits which are yet to be developed, the company states. New life has been breathed into former zinc producers like the Century mine due to a doubling of zinc prices since 2015. The commodity used to galvanize steel has also fueled a flurry of zinc miner listings on the Toronto Stock Exchange as companies cash in on investor demand for producers of the metal. New Century last traded at AUD$1.34 a share prior to a trading halt. The stock is up an astounding 584% year to date.